I could eat Mexican everyday. Literally. I love it so much. The end. Ok so really I've got a delicious recipe that everyone should try. We've been trying to eat less meat around here. You know everything that is put into food now kind of grosses me out. I've even stopped drinking milk. Almond milk! Anyways....veggie enchiladas! Except they are open like a quesadilla! 1. Put the oven on 400. 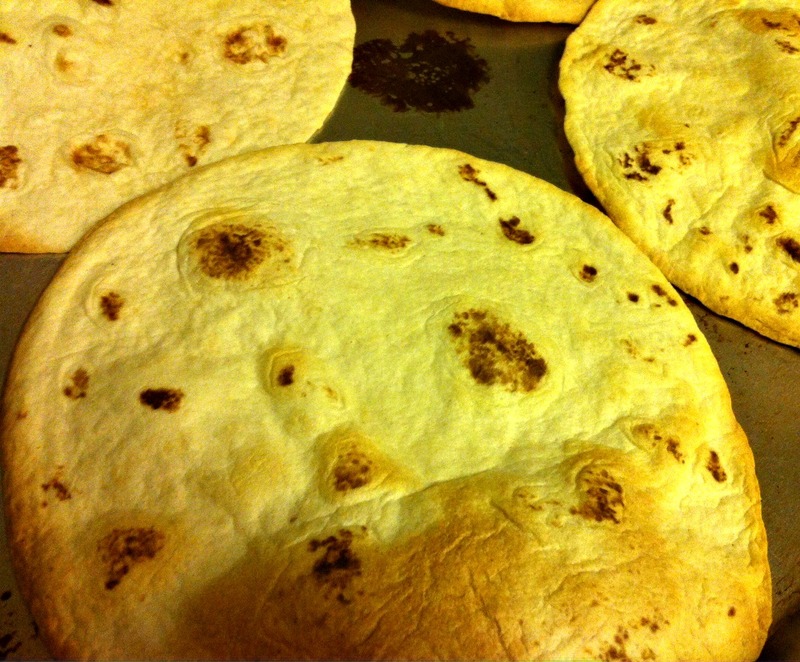 Put your tortillas on a pan and put in the oven for about 4-5 mins. Wait until they start rising then take them out. 2. Cut up your vegetables. 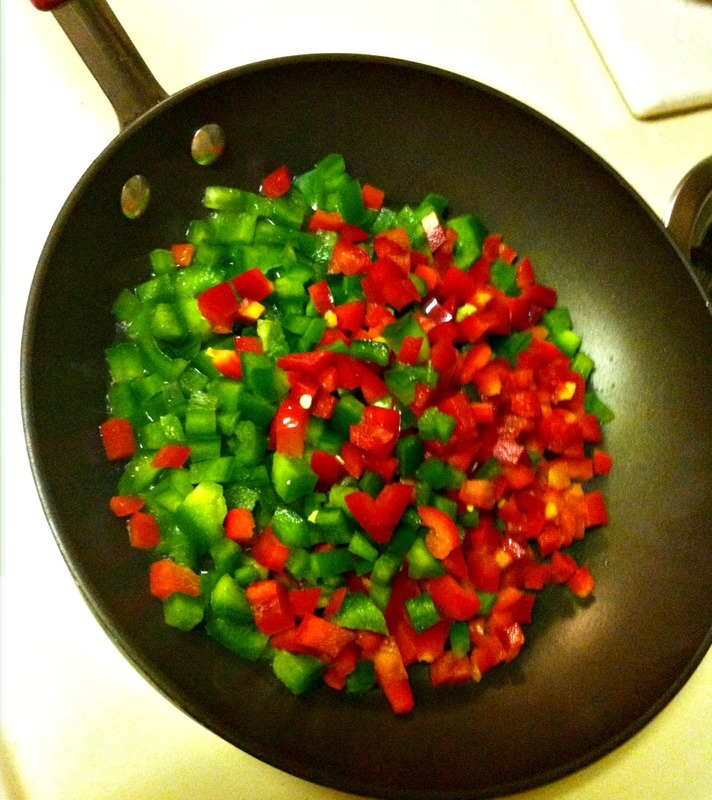 I put the peppers in a pan with a little bit of olive oil until they soften up. 3. 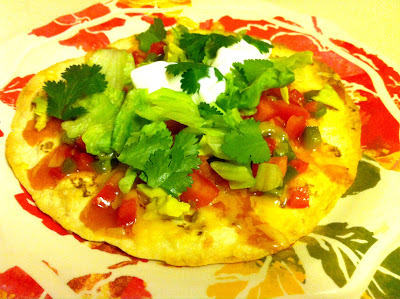 Pour a little of the enchilada sauce on each tortilla then put the peppers on. Add cheese on top of that. 4. Put back into the oven until the cheese is melted. 5. Take out and add whatever else you please. Everything that is under "ingredients" is what I chose. It was delicious and will definitely be something that I make again! Oh... I'm totally making this! Mexican is my hands down fave. Okay we are supposed to be best friends because I could eat Mexican food all three meals a day. SOO GOOD. Have you ever eaten at Laura's in Provo?? No joke...me too! I haven't even heard of that? Is it good?? OMG THAT SOUNDS INCREDIBLE. Definitely getting Mexican for dinner tonight! Seriously anytime someone starts talking about Mexican I want some that day! This looks yummy! 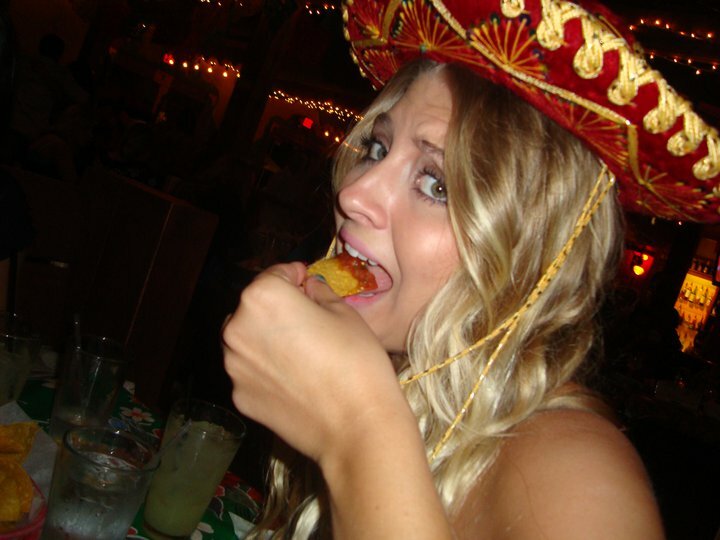 I love Mexican food too! It is definitely soo good! This looks SO delicious! You're making me hungry! Thanks for sharing! Yum!! Love Mexican too...chips, queso, fajitas...yum! !Super cute pic!! Looking forward to following via GFC! Hope you have a wonderful weekend! Everything you just named sounds amazing! this looks delish and easy too. will have to try this. i always loooove mexican food. Definitely pinning this so I can make it asap!